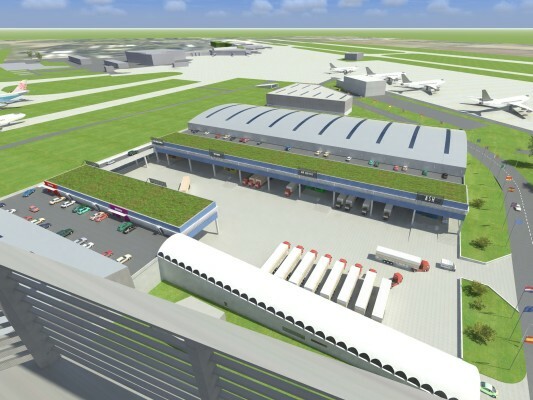 The World-Cargo-Center Hannover is the first building to be realized in the new cargo area of the airport in Hannover, Germany and is situated between the two runways. 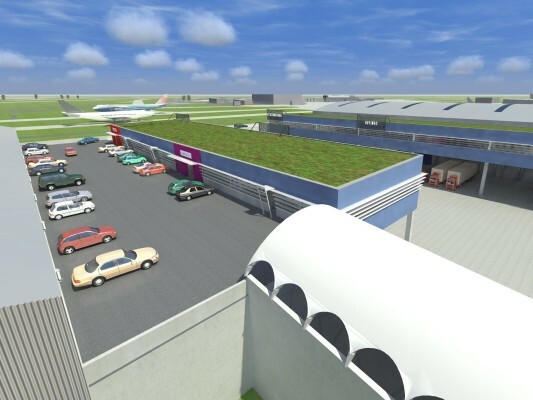 The landside is connected to the terminal and the close-by highways via a newly built tunnel under the taxiways while the airside has direct access to the apron. 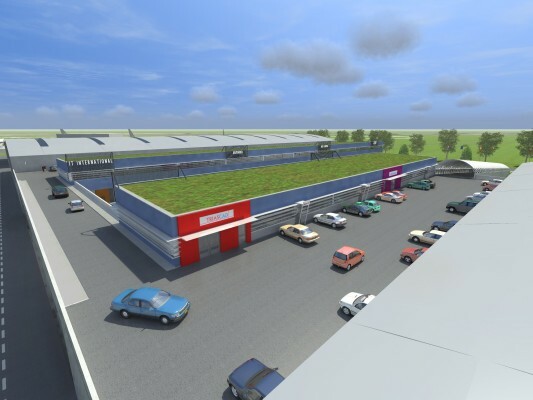 The two main halls of the project are grouped around a central loading area. 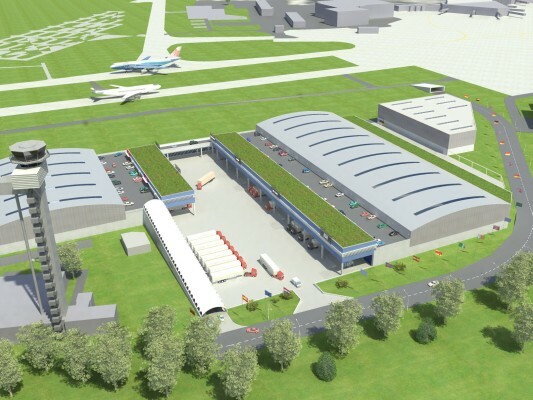 The ground floor of the halls, with truck docking, the main logistics area and direct access to the apron, is divided into two commission zones towards land- and airside and a big central space with an inner height of 10 meters and 55 meters of column-free storage space. The roof of the landside commission zone serves as a parking space for the offices that hang suspended above the central loading area. It can be reached via a covered ramp and bridge. This way, trucks and cars do not cross paths and are kept separate. Both halls and offices can be easily divided to serve multiple tenants. The building consist mainly of prefabricated concrete, ensuring a quick building time and a high quality of structure.